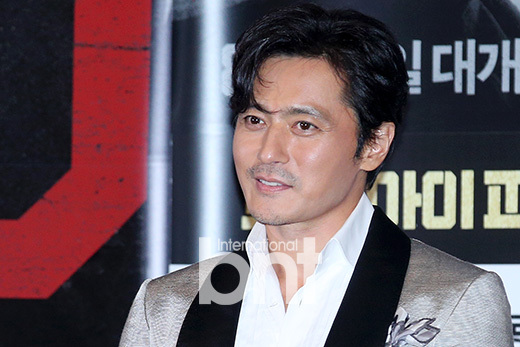 [photos by Baek Sooyeon] Jang Dong-gun talked about not being able to attend the Venice Film Festival. On August 16, the press conference for movie V.I.P was held at Yongsan’s I.Park Mall in Seoul. Actors Jang Dong-gun, Kim Myung-min, Park Heesoon and Lee Jongseok were in attendance alongside director Park Hoonjung. Movie V.I.P follows the story of a North Korean VIP (Lee Jongseok) who was brought to Korea under the supervising of the National Intelligence Service and the CIA, namely Park Jaehyuk (Jang Dong-gun), and the fierce battle that they fight alongside detective Chae Yi-do (Kim Myungmin), national security agent Ri Dae-bum (Park Heesoon) and CIA agent Paul (Peter Stormare). Meanwhile, V.I.P will premiere on August 24. Next articleKeep Up With A-Pink Son Naeun’s Airport Fashion!